Knack, a Playstation 4 launch title, has received a good amount of attention due to its impressive graphics and physics system. Since it's marketed as a family game, it's only fitting that co-op capability is being added to assist kids in playing the game. Only available locally, Knack will support 2-player shared-screen play. Player 1 will be playing protagonist Knack as normal in the game's story while Player 2 will be playing a special silver version of Knack. Silver Knack is designed to support Knack in combat and by picking up parts (which allows both versions of Knack to grow). 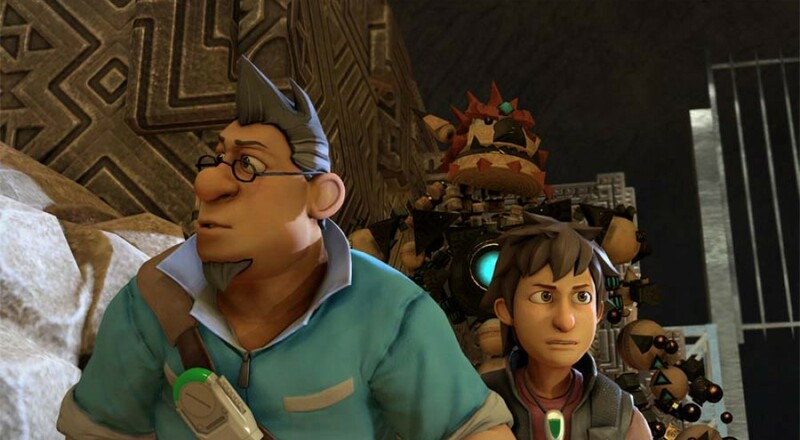 When Knack gets damaged, he will begin to shrink; however, Silver Knack can donate his parts to Knack to "heal" him. Since the co-op mode was put in primarily to have family members help kids play the game, it should be relatively unsurprising that only Player 1 controls game progression. Co-op will fully support drop-in, drop-out as well, which is only fitting. Knack is coming to the PS4 November 15th, 2013. Page created in 0.2302 seconds.